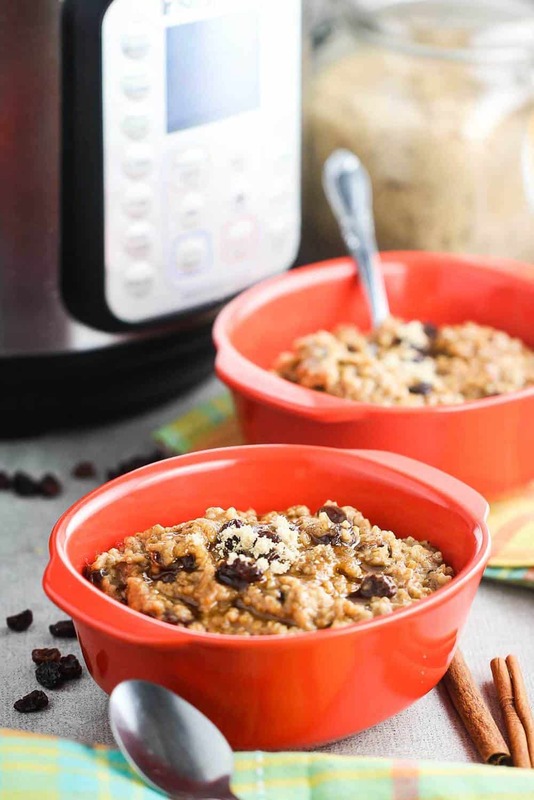 This Instant Pot Cinnamon Raisin Steel-Cut Oatmeal recipe is now requested in our home practically every morning. 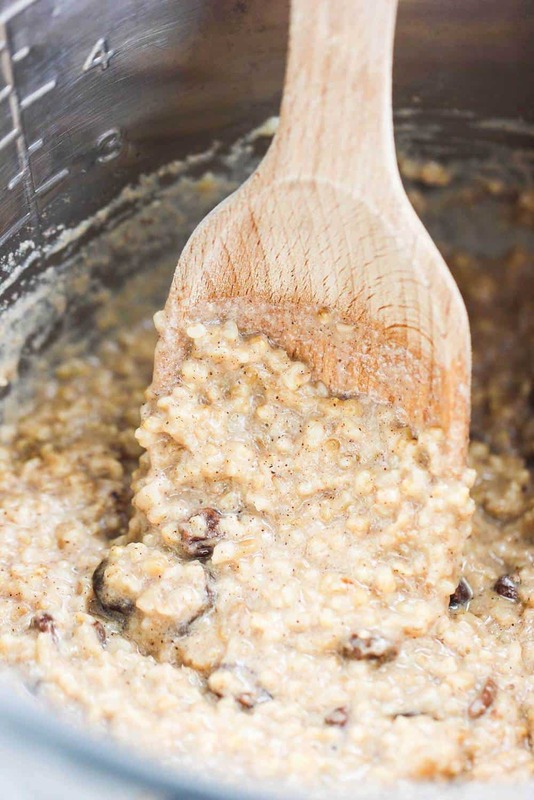 Thanks to the wonders of the Instant Pot, you can now have amazing steel-cut oatmeal in about 30 to 40 minutes. So long soggy instant oatmeal, and hello pure deliciousness! 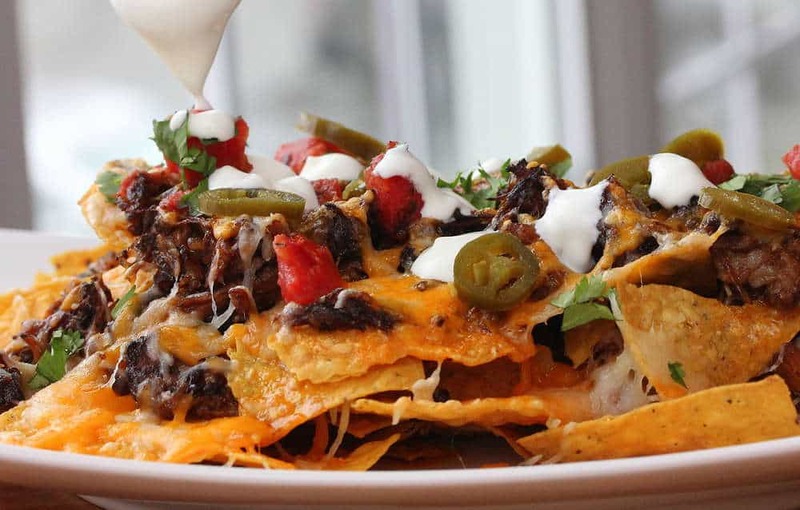 As it so often the case, the simplicity of the recipe is what really makes it so fantastic. 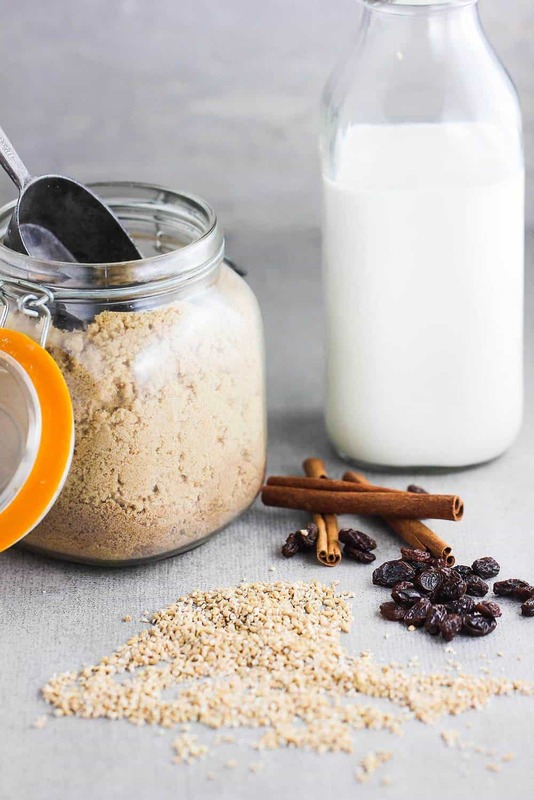 The flavor profile is just right, and allows the oats to shine, while gently enhanced with the cinnamon, raisins and brown sugar. The wonderful creamy milk just rounds out the incredible flavor. Steel-Cut Oatmeal has such amazing texture. With just a bit of chewy and full-bodied bite, the texture and flavor of the oats are spectacular. We’ve always enjoyed oatmeal for breakfast when dining in a nice lodge and restaurant (The Four Seasons in Whistler, Canada comes to mind). But replicating that texture and taste at home has been a challenge. But no longer. Look at that amazing steel-cut oatmeal! 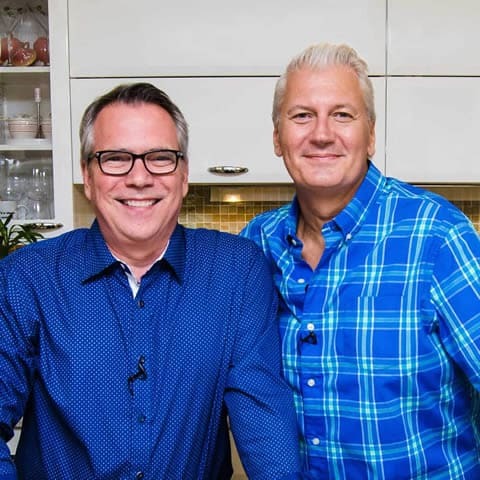 And the amazing Instant Pot lets you serving this dish from start to finish in about 35 minutes. So heartwarming and simple to make on a busy week morning, or a relaxing weekend brunch. So creamy, satisfying and comforting. And the oats are packed with nutrition, too! Toasting the oats first in a little butter gives them a nice toasty flavor and helps in the cooking. And the smell is heavenly. But then, wait for the taste. Freshly made oatmeal raisin cookies are my all-time favorite treat in the world. 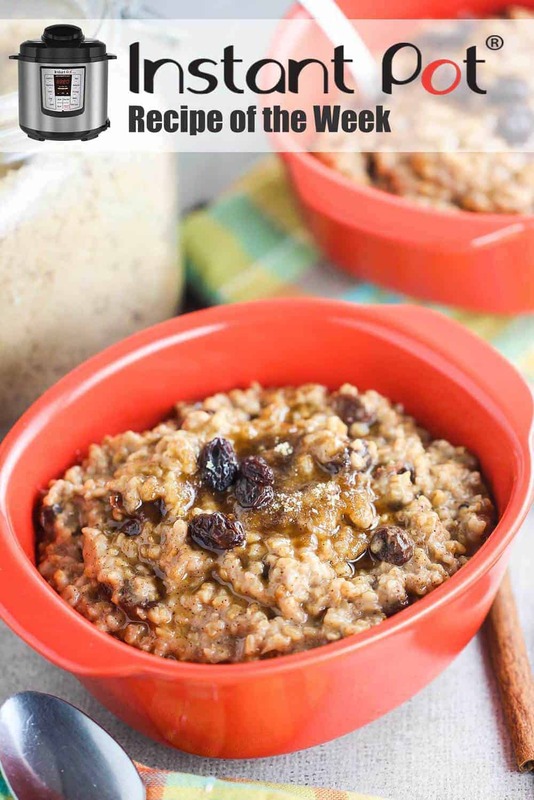 So, it would make sense that this incredible steel-cut oatmeal with cinnamon, raisins and brown sugar would become one of our all-time favorite breakfast dishes ever! You gotta give this a try. The Loon flipped for it. 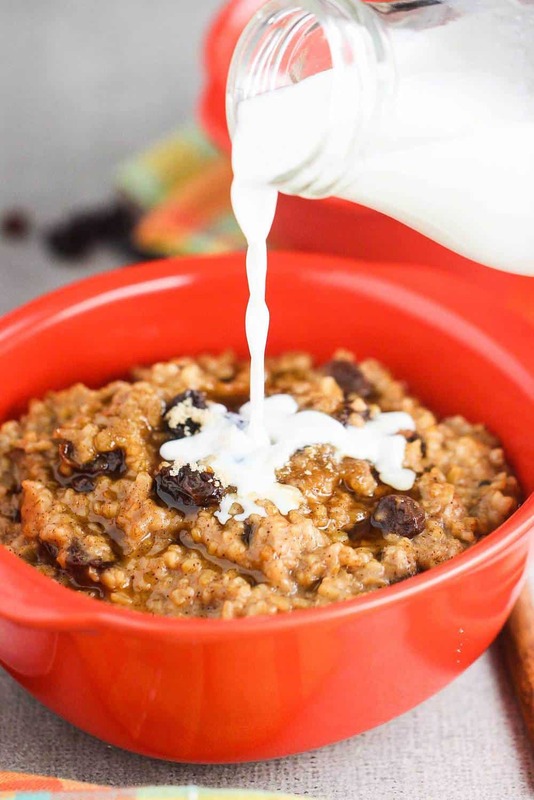 Now, go and make this incredible Instant Pot Cinnamon Raisin Steel-Cut Oatmeal recipe. You are going to LOVE it!! And it is so easy! 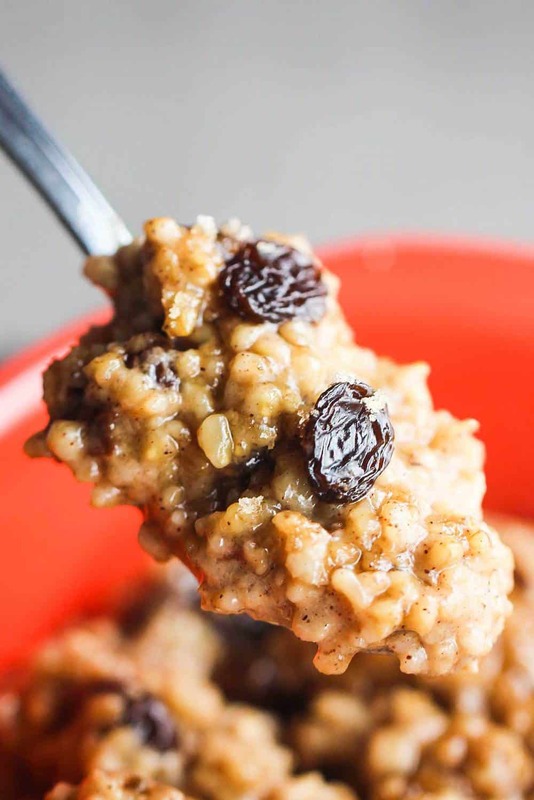 This Instant Pot Cinnamon Raisin Steel-Cut Oatmeal is a true winner. If you love oatmeal, like we do, but long for the kind of oatmeal that's not watery and come from an instant package...you've come to the right place. So hearty, and so flavorful, and on the table in just over 30 minutes. Fantastic! Select SAUTE on the Instant Pot and adjust to More for high heat. Add the oats and stir to coat them with butter and stir until they are aromatic and lightly toasted, about 4 minutes. Add the sugar, salt, water, milk, raisins and cinnamon. Stir until combined. Secure the lid and set the Pressure Release to SEALING . Press the CANCEL and then select PORRIDGE or MANUAL or PRESSURE COOK (Any of these settings will work). Adjust the pressure to High and set the time to 10 minutes. Let the pressure release naturally for 10 minutes, then Quick Release any remaining pressure. Remove the lid. 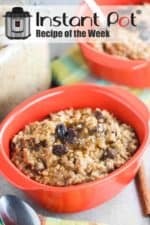 Stir the oatmeal and then spoon it into four bowls. Sprinkle on the brown sugar and add extra milk, if desired. I tried this recipe and got the burn alert. I tried adding more liquid but it happened again. This was absolutely delicious and so quick to make. I diced a fresh pear to use because I was out of raisins but otherwise made it just as written. Toasting the oats first is an inspired idea. I have loved every single recipe of yours that I’ve tried. Thank you so much for sharing them. “Add the last and stir to coat.” It must be the oats, but just checking. I am adding steel cut oats, raisins and milk to my Walmart pickup order. Thanks and love ya’ll.